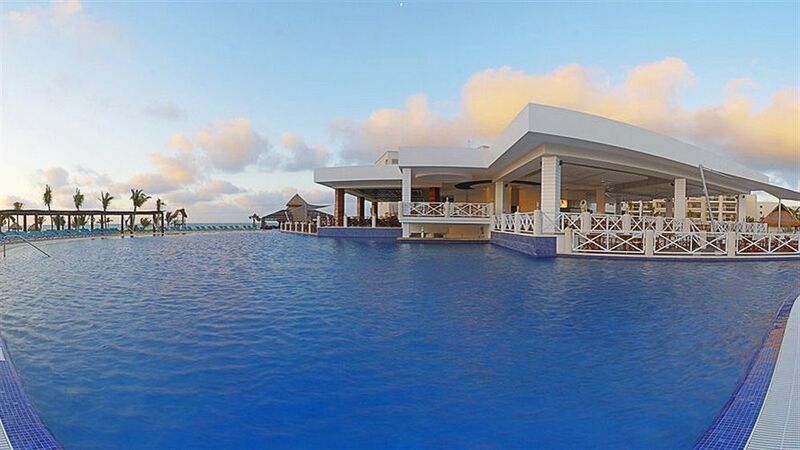 Secrets Silversands Riviera Cancun is an all-inclusive, adults-only (18+), exclusive resort, located in Riviera Maya. Surrounded by warm crystal waters and boasting a treatment in Unlimited-Luxury®, Secrets Silversands Riviera Cancun prides itself on elegance. This AAA Four Diamond-rated, all-suite haven is surrounded by vibrant coral reefs, soft white sand and tantalizing local attractions, offering only the best in vacation luxury. Surrounded by beautiful beaches, Secrets Silversands Riviera Cancun is perched on a peninsula of the most amazing white-sand beach on the Riviera Maya, a mere 15 miles south of Cancun and about twenty minutes from the Cancun International Airport. Boasting stylishly elegant suites (including romantic and convenient swim-out suites), a world-class spa, over 43,000 sq. ft. of divine pool areas, gourmet dining options and 24 hr. room service and just about every imaginable land and water activity at your fingertips, there are enough entertainment, sightseeing, sports and recreational opportunities to fill every waking hour. There are 441 modern and stylish guest suites, each featuring a suspended king-size bed (or two double beds), in-suite Jacuzzi for two, private terrace or balcony, complimentary mini-bar and much more. Indulge in an expansive array of international cuisine. Choose from seven á la carte gourmet restaurants and a buffet venue – and more – reservations are never required. Or sneak away for a romantic meal in your suite or on the beach. Your Unlimited-Luxury® privileges include all meals as well as top-shelf spirits. New! 24-hour dining options allow guests to enjoy late night bites at the Coco Café. Or stay in and order room service. It’s all available at any hour day or night. As part of the privileges of Unlimited-Luxury®, guests of Secrets Capri Riviera Cancun, Secrets Maroma Beach Riviera Cancun, Secrets Silversands Riviera Cancun and Secrets the Vine Cancun (as of August 2012) can enjoy reciprocal privileges. The Sip, Savor & See Dining Experience includes complimentary dinner, drinks and entertainment at a restaurant or bar at a participating resort of their choice. Guests can utilize the facilities at the resort they are visiting from 6pm to 1am. The experience is only good for dinner via reservations made through the resort concierge. Guests are responsible for the cost of transportation to and from the resort for a maximum of four people per seating.